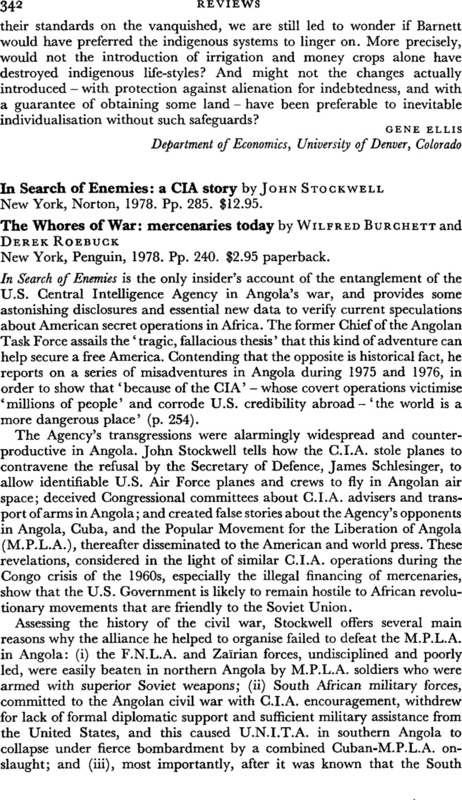 In Search of Enemimes: a CIA story by John Stockwell New York, Norton, 1978. Pp. 285. $12.95. - The Whores of War: mercenaries today by Wilfred Burchett and Derek Roebuck New York, Penguin, 1978. Pp. 240. $2.95 paperback.